Through our Companion Care service, caregivers for AAACare Columbus happily provide needed senior care for members of the Columbus community and beyond that are home alone for extended periods of time. Companionship is important to anyone’s well-being regardless of their age. Meaningful relationships and companionship are crucial components in living a healthy lifestyle because they offer emotional security and help keep your mind positively engaged. Companion Care is wonderful for those individuals who wish to be independent, but need aid in completing day-to-day tasks independently. Seniors, however, are more prone to feeling alone and disconnected, especially when living independently without reliable access to others. Through engaging conversation, laughter, and companionship, our caregivers offer their time and friendship to our clients. Whether playing a game of cards, watching a favorite movie, or sharing a meal together, our compassionate and professional caregivers provide friendship and enjoyment to make life more fulfilling for all. 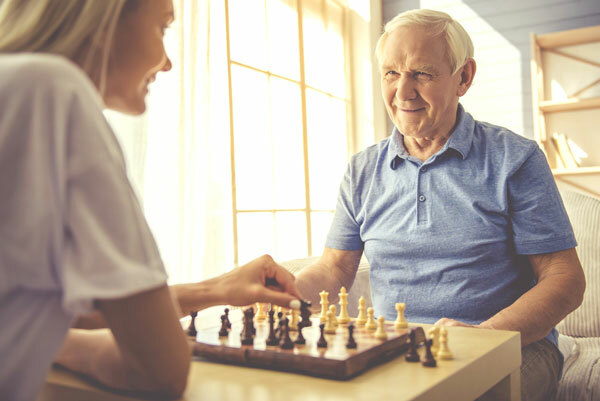 Having a companion to enjoy day-to-day activities with is not only beneficial for living a fulfilled life, but it can also help seniors and those with disabilities or illness to complete daily tasks effectively. Elderly care services by day, personal chef by night. Our caregivers can help prepare meals, shop for groceries, monitor dietary restrictions and provide assistance in promoting a healthy lifestyle. Sometimes, having a home-cooked meal without having to fix it themselves is just what the client needed. Maintaining a tidy house can be a struggle for older loved ones or anyone with limited mobility for any reason. Our caregivers can assist with any daily household chores to ensure a clean house that brings peace of mind. Staying active promotes a healthy lifestyle. Our caregivers will encourage your loved one to turn off the TV and get moving. Whether it’s a walk up and down the driveway or assistance with physical therapy exercises, our caregivers can provide senior care assistance to help your loved one stay active. For some older adults, doctor’s appointments can be confusing. Our caregivers can accompany your loved one to their appointment and help them understand any information or instructions their doctor may have given them. As we age, our eyesight isn’t what it used to be. Our caregivers can help your family member with reading tasks such as reading a book, opening or reading mail, organizing paperwork, or mailing bills and letters.